We all know that our education service is underfunded. We currently spend well below the OECD average and our schools are suffering unprecedented cuts. And yet we have a fragmented, semi-privatised, market based academy system that is inefficient and unaccountable. The majority of secondary schools are now academies or part of a multi academy trust (MAT), while the majority of primaries remain under local authority control, whose education departments have been reduced to skeletons. They are still responsible for the education of children in their authority, but lack the authority to act. They can’t build new schools or create school places, but somehow have to ensure that all the children are educated. Schools compete to boost their standing in the league tables, often by excluding high numbers of low-achieving, disadvantaged, vulnerable pupils. There is a high cost to this strategy – on the pupils themselves, their families and communities, and to the schools that eventually take them in. In Kent, for instance, it has been reported that some academy heads are refusing to accept looked-after children into their schools (TES magazine, 10th August) A recent Panorama episode exposed examples of corruption in the academies programme, with government failure to maintain proper control over, or accountability for, public money. Public resources – land and buildings that once belonged to the local authority – are no longer under democratic control and have found themselves in private hands. We have watched as MATs have appointed executive heads, business managers, non-educationalists – on high, inflated salaries – who determine how qualified teachers run their classes. Some Labour authorities have resisted academisation and should be applauded. The Labour Party must take a more robust policy of opposition to continuing academisation and build on the support that is out there - from parents, teachers and community activists. We owe it to future generations to reverse this trend and put a stop to any future academisation. The Labour Party must now actively work with teaching unions, academics and others to form a coherent plan – bringing academies and MATs back into local accountable, democratic control is stated Labour Party Policy. 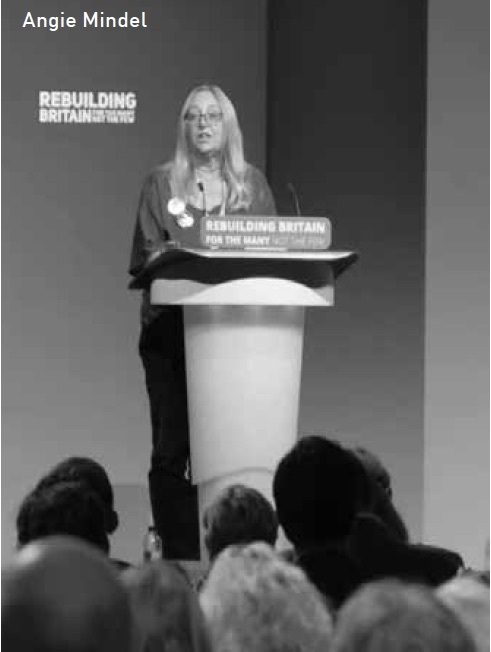 This conference motion is a call for action rather than words: to oppose any further academisation and to wind down – effectively abolish – all academies and MATs as a matter of urgency, as soon as we have a Labour government. Nottingham East CLP conference delegate and retired head teacher (Pupil Referral Unit). Oct 27 So, how was it for you?